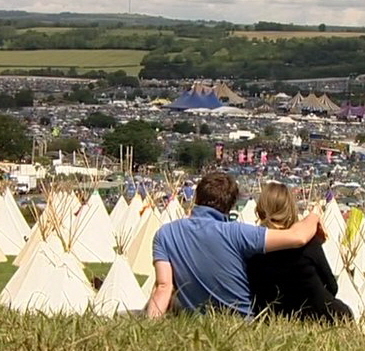 Charter a helicopter to the biggest festival in the UK. 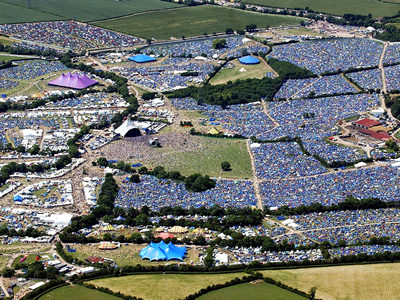 We provide helicopter charter to and from Glastonbury for party goers, VIP guests and stars from the music industry. No matter what time you want to arrive, we can provide a unique helicopter charter to Glastonbury - just give us the dates you want to rent a helicopter, timings to suit your schedule, the number of passenger and of course where you want to depart from. Our team of helicopter flight attendants are on hand 24hrs a day to give you the best advice and options available. In many ways, Glastonbury is like loads of different festivals converging on the same gorgeous countryside for the weekend. Each area of the Festival has its own character, its own loyal fans and its own special attractions: Silver Hayes (formerly the Dance Village) is as distinct from the Green Fields as the Circus & Theatre fields are from The Park. Some people tend to stick pretty much to their favourite area for the whole weekend, but we'd heartily recommend the tapas Glastonbury experience - trying a little bit of lots of different things. Because while the Pyramid Stage will always provide the Festival's most high profile attractions, a lot of the best experiences are to be found out on the outskirts where you least expect them.